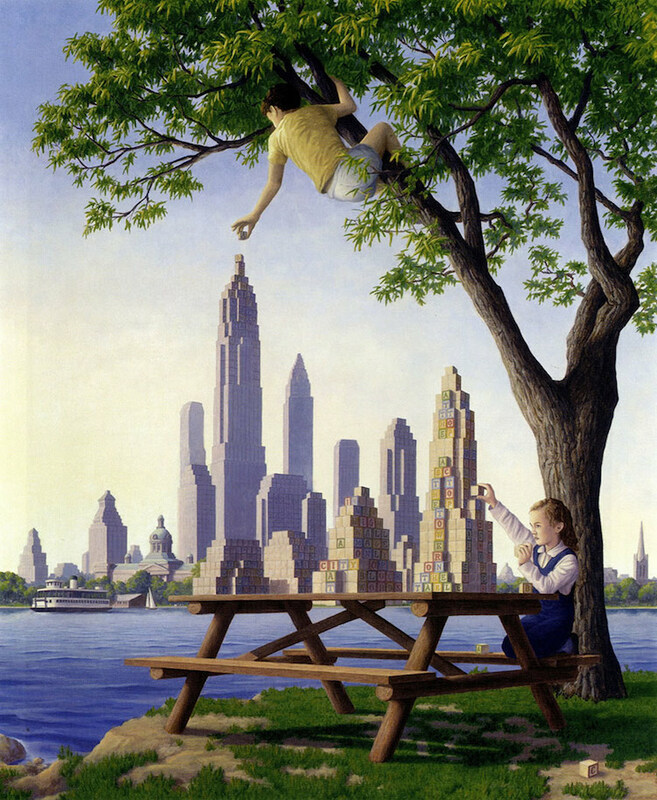 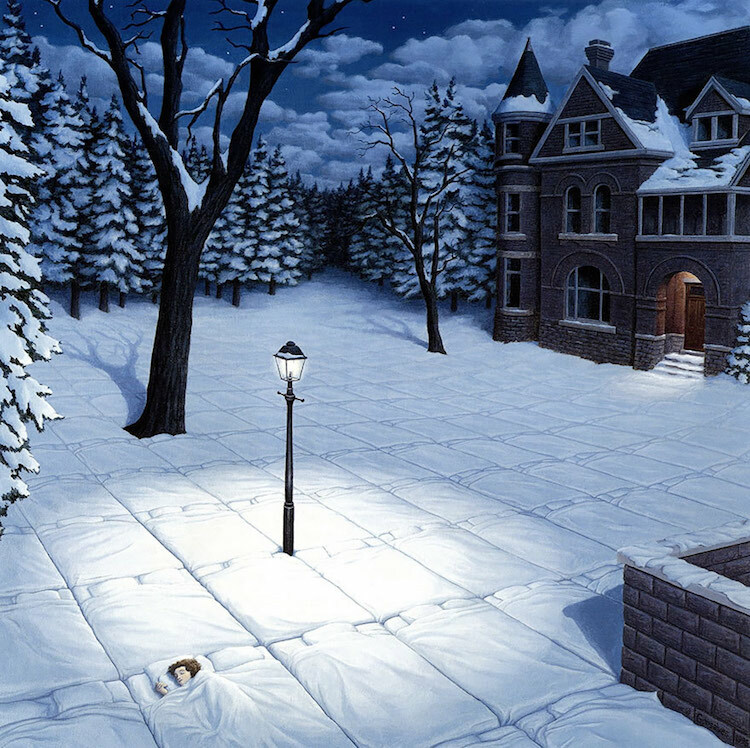 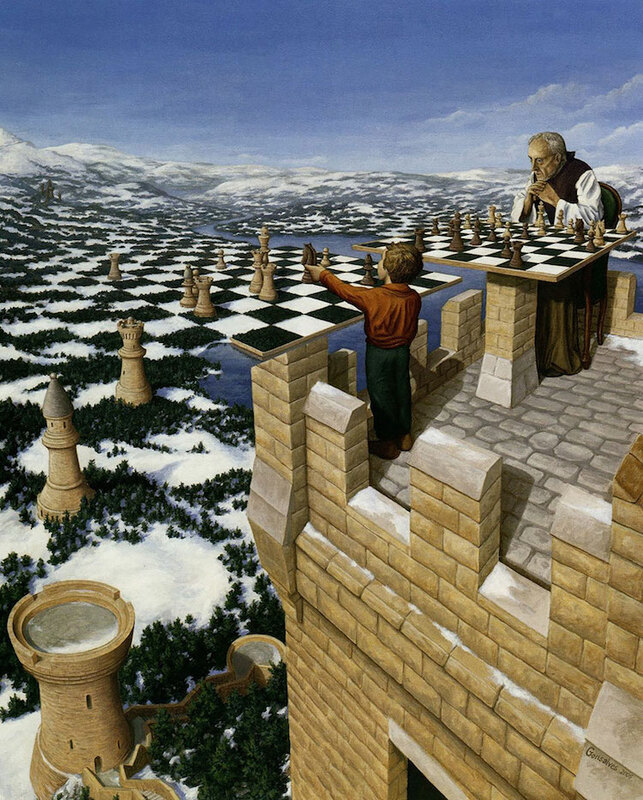 In his paintings, the artist Robert Gonsalves mixes magic with realism. 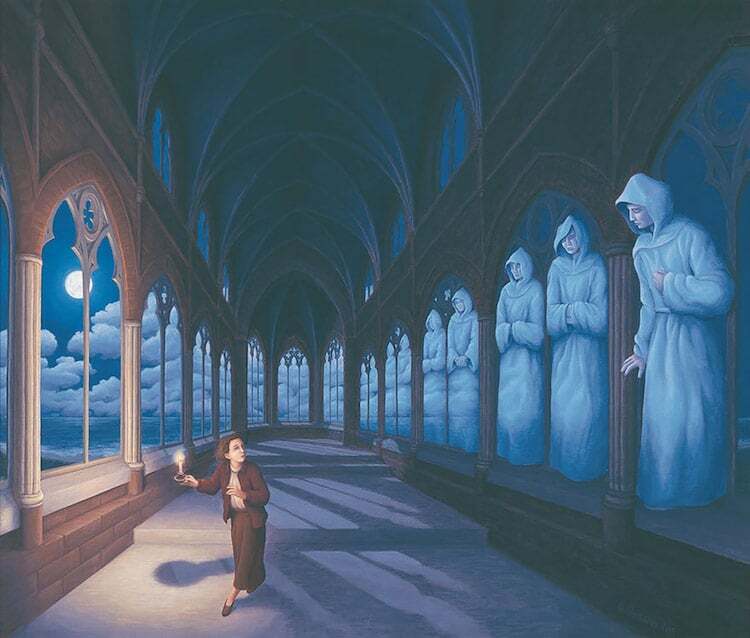 All of his artwork makes us want more with their double scenes. 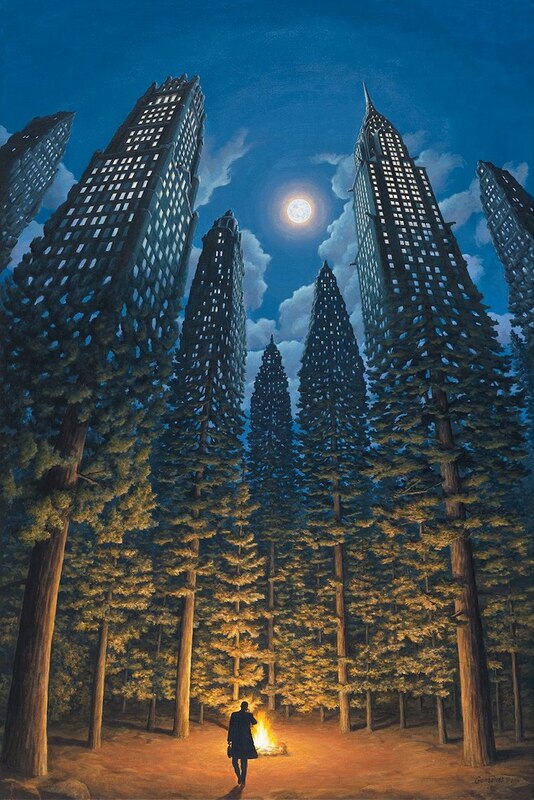 Per example, one painting shows trees morph becoming ghost-like figures, while another is a bedroom interior suddenly becoming a sprawling forest. 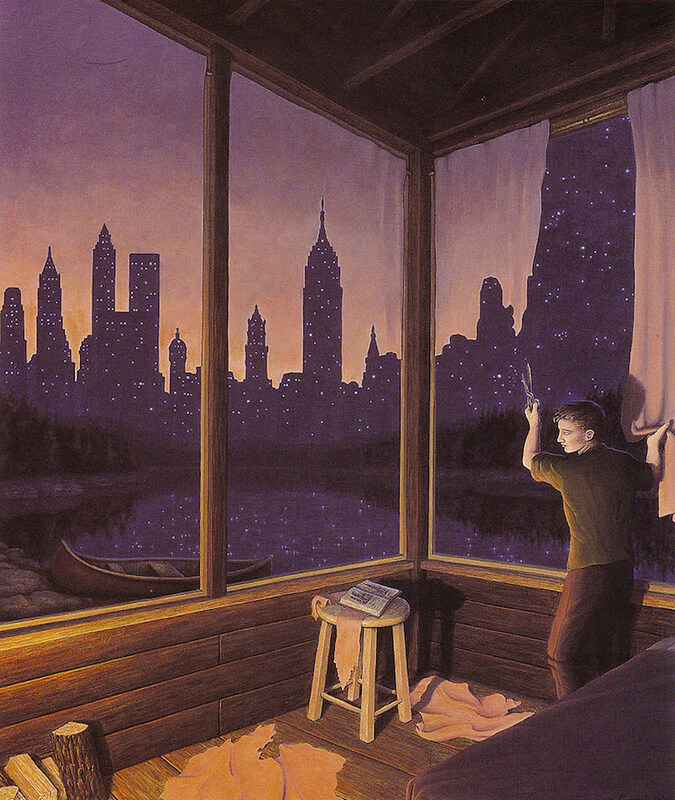 In each of his fusions, the line between the multiple stories is very subtle and blurry. 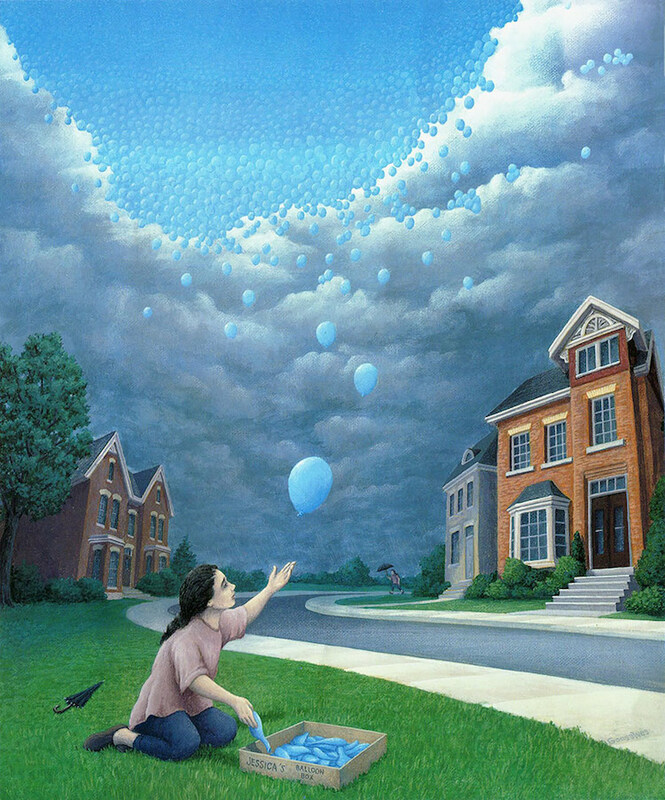 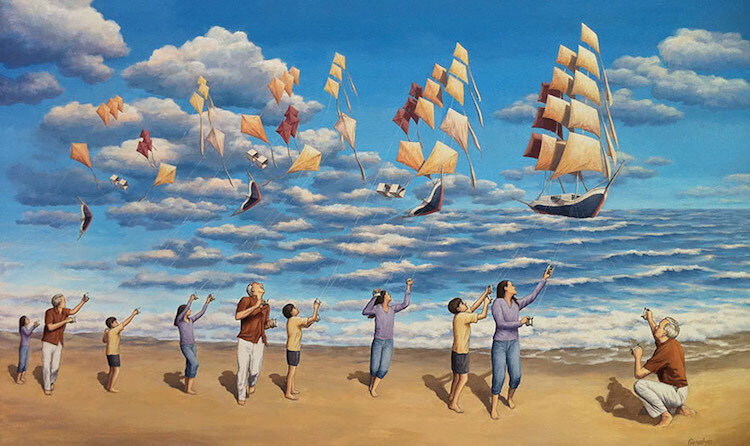 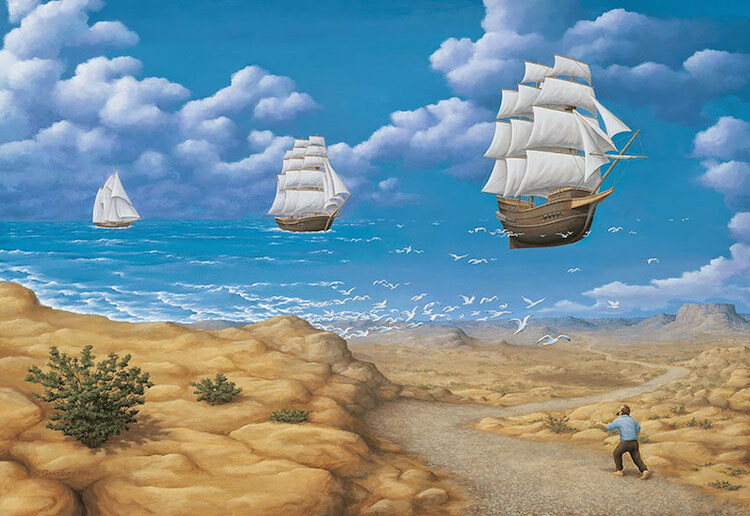 In Gonsalves paintings, we can sense the childlike wonder. 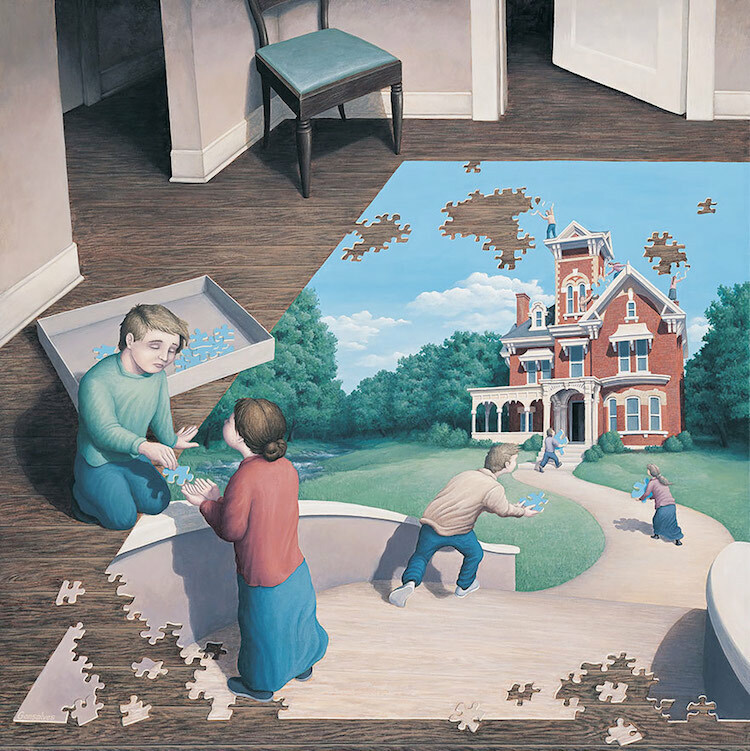 Indeed, the main characters are often children and the scene can be compared to the bizarre and unrealistic scenarios that kids make up in their head. 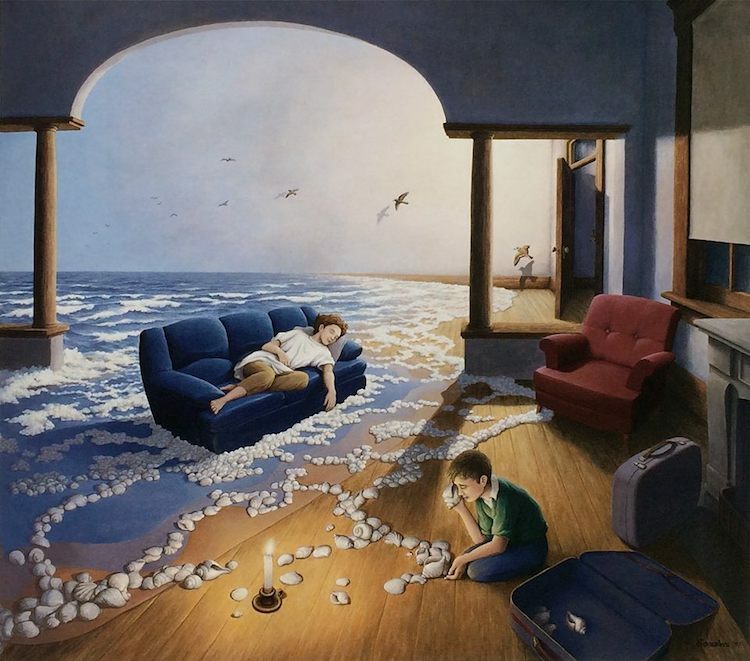 It his influenced by the magical thinking of his youth, as he wrote; “A childhood of daydreaming and drawing has evolved into a career of making paintings that are primarily a celebration of imagination.” Although he studied in architecture for some years, the artist revisited fine art about 30 years ago and he hasn’t quit it since. 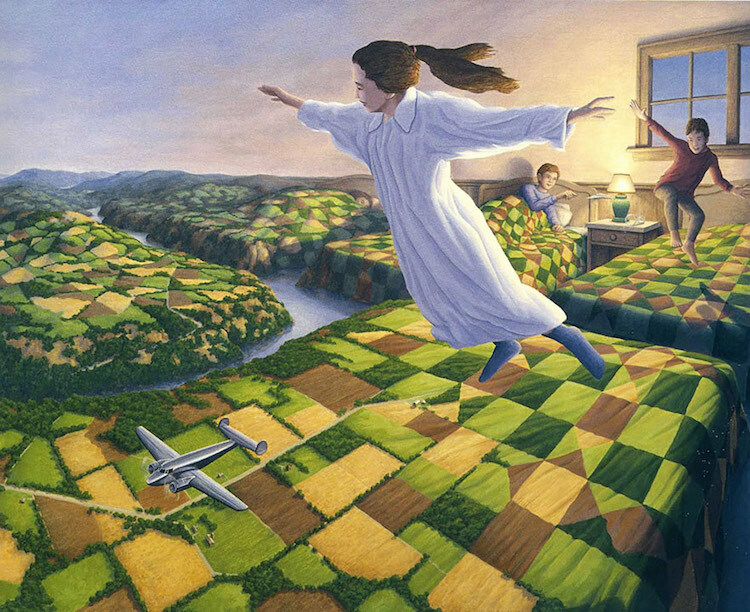 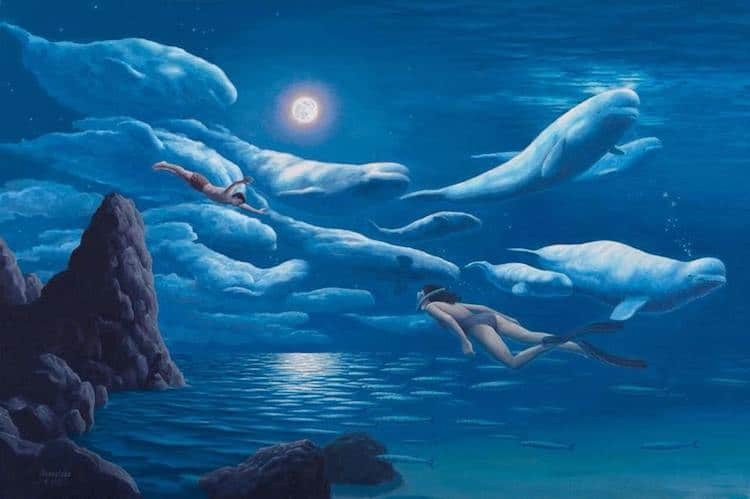 Moreover, Gonsalves’ optical illusion arts have illustrated picture books called Imagine a Day, Imagine a World, Imagine a Place and Imagine a Night. 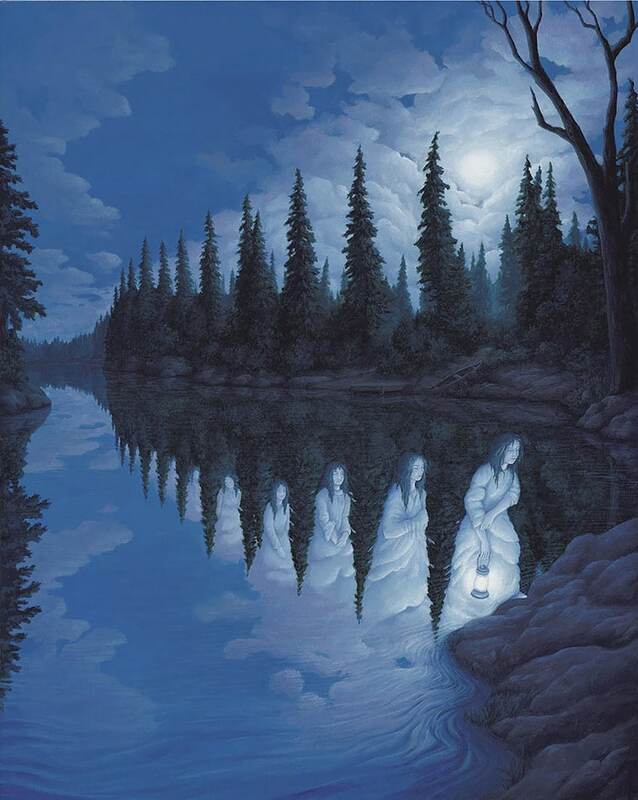 They can all be found on Amazon. 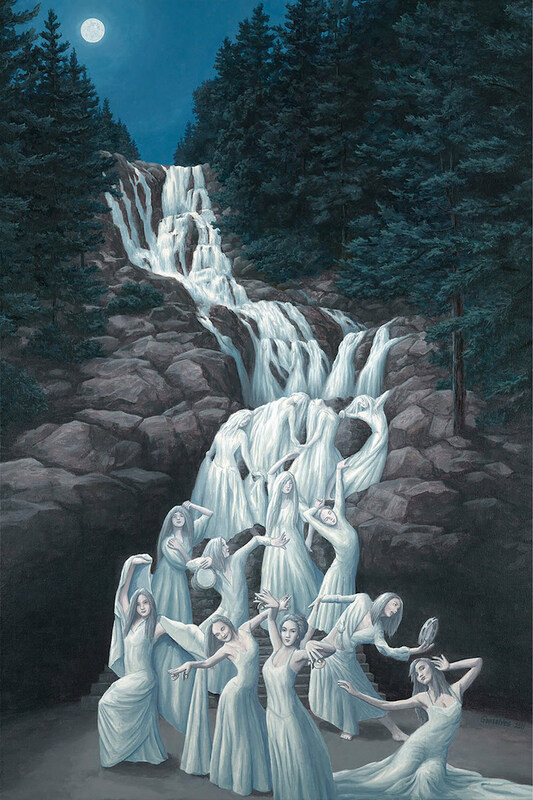 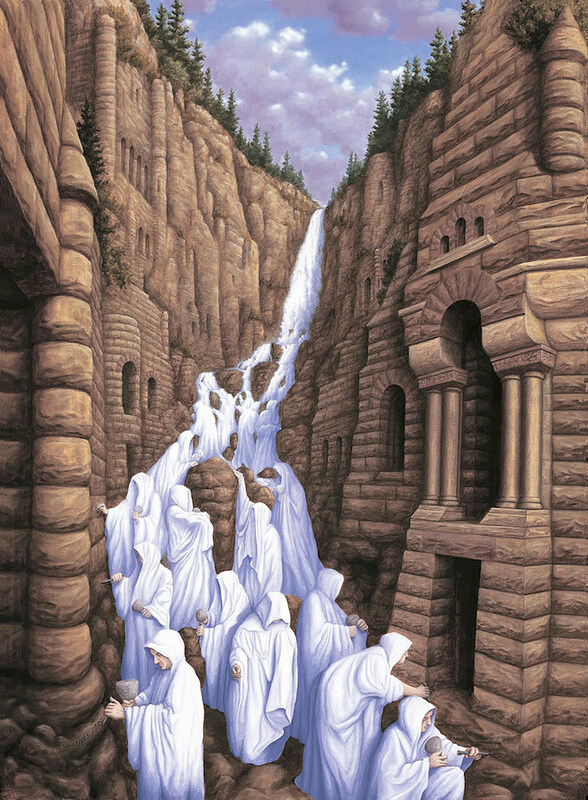 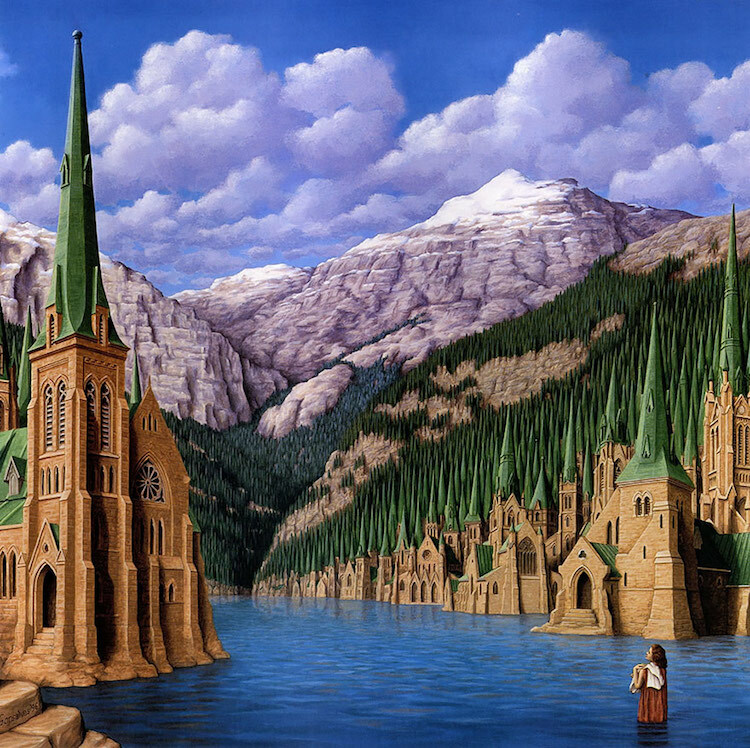 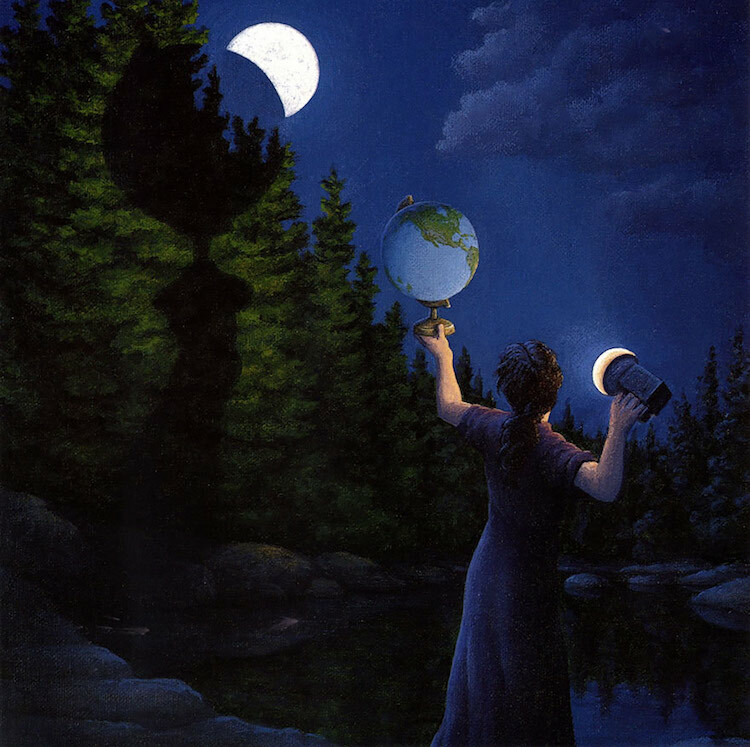 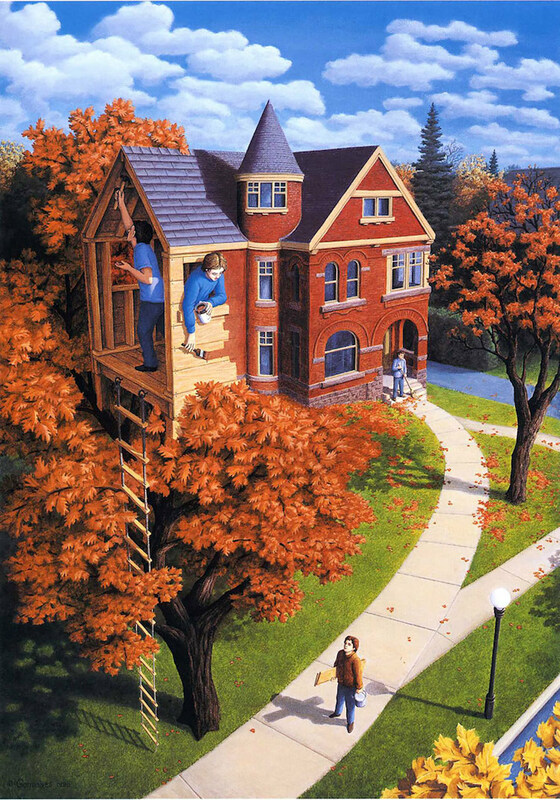 Robert Gonsalves paints magical realism. 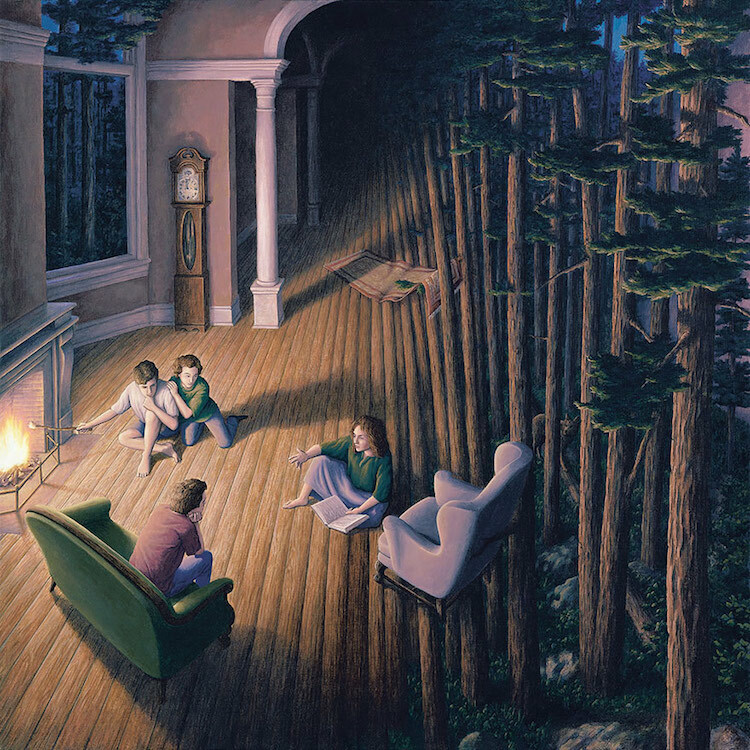 In one fantastic scene, two or more stories emerge. 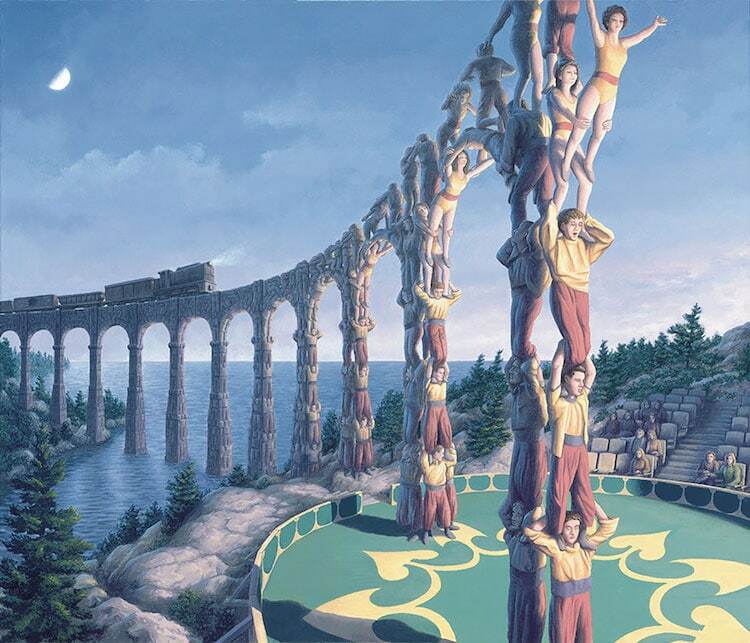 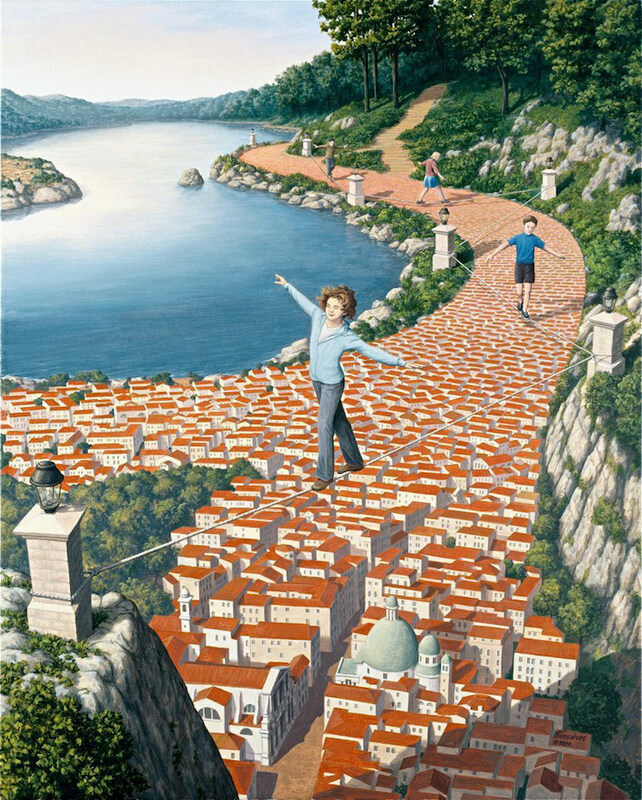 Each of Gonsalves’ paintings contain optical illusions. 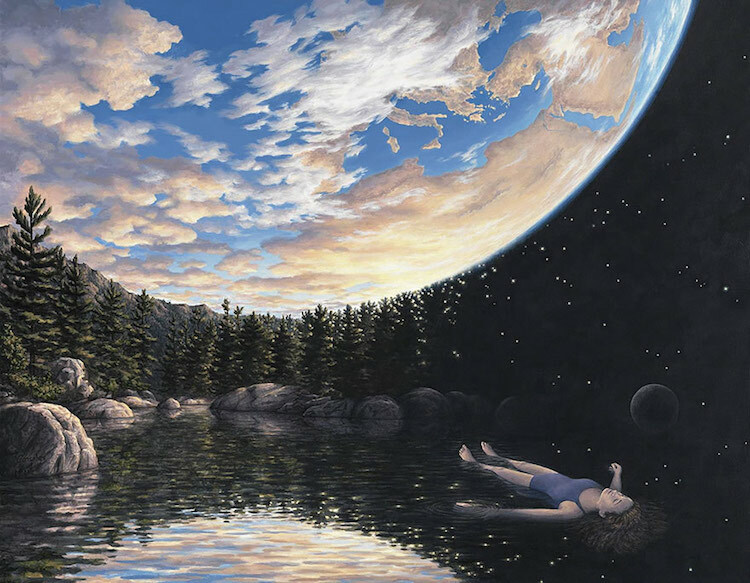 Look closely to see where one ends and the other begins. 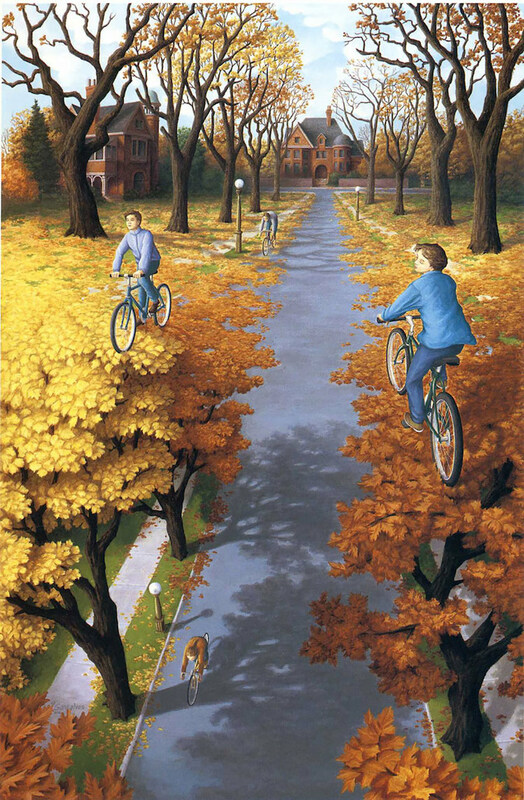 These types of images have been with Gonsalves since he was very young.